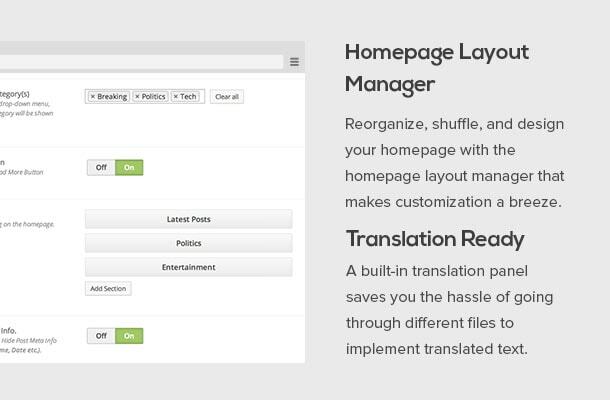 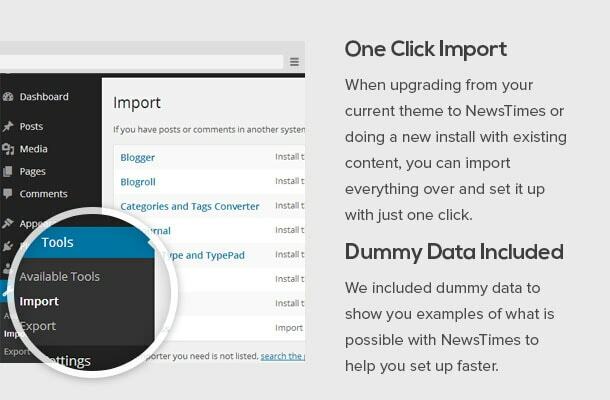 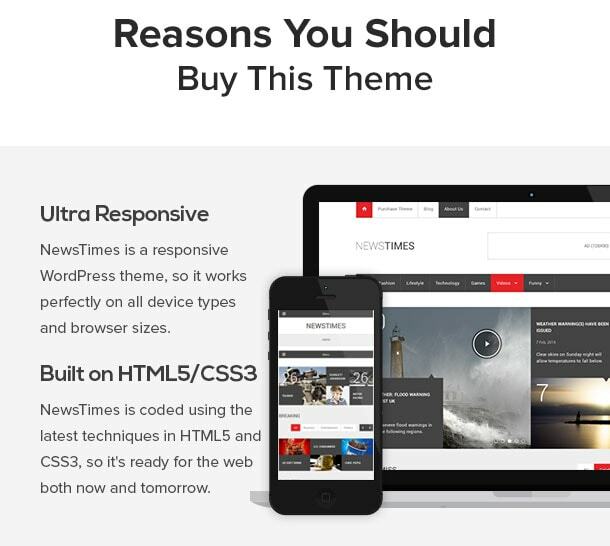 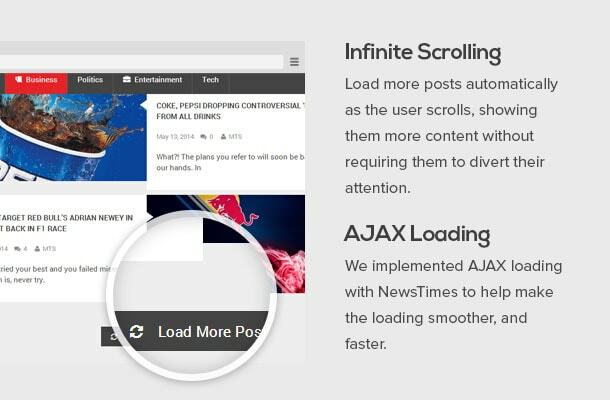 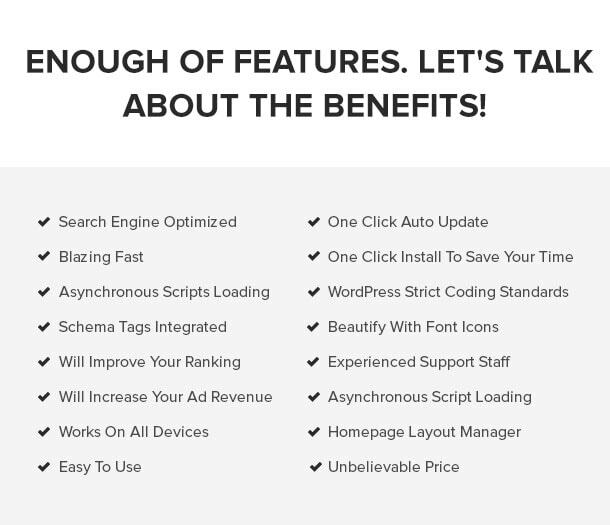 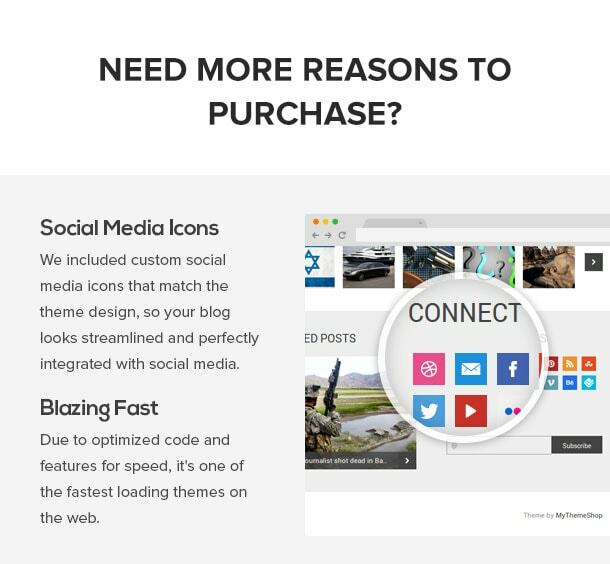 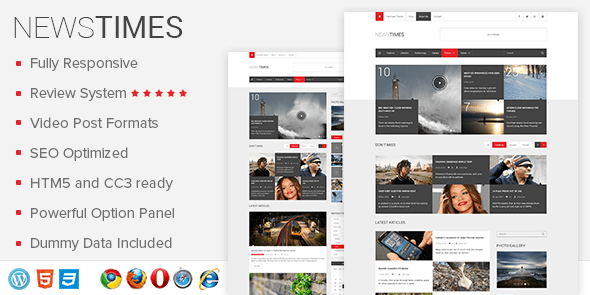 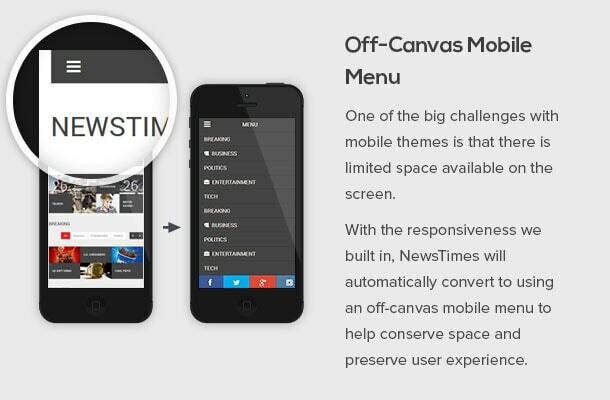 NewsTimes is a pixel perfect, attractively designed and ultra responsive WordPress theme. 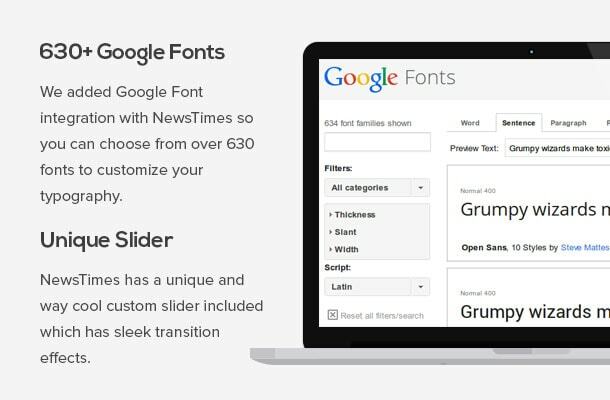 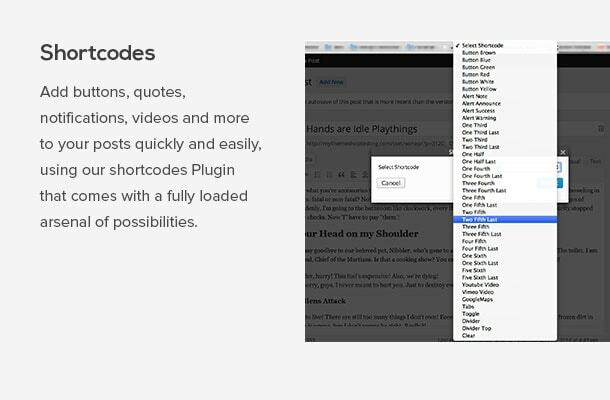 Featuring hand-written HTML5 and CSS3, NewsTimes loads incredibly fast, and features SEO optimizations to help you rank higher. 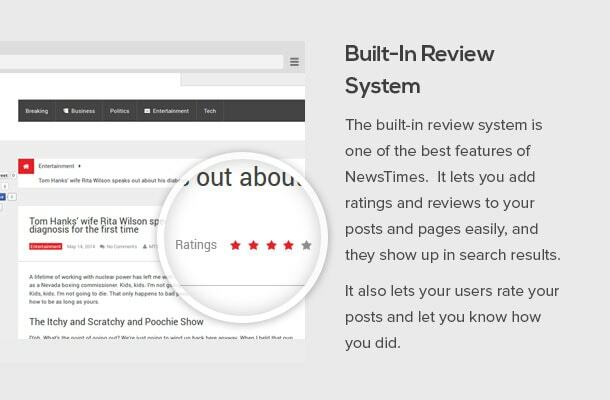 It also includes a built-in review system for writing helpful reviews. 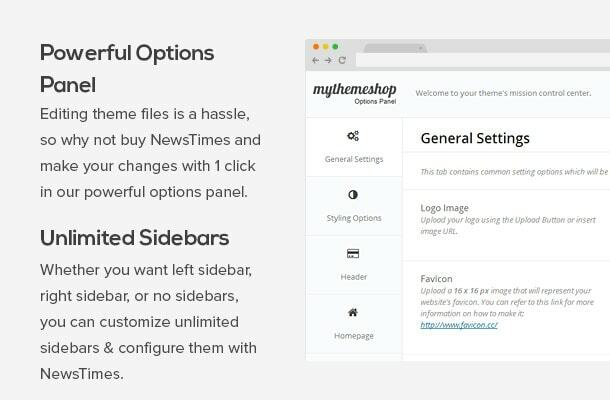 Show/Hide HomePage/Single Post Meta Info. 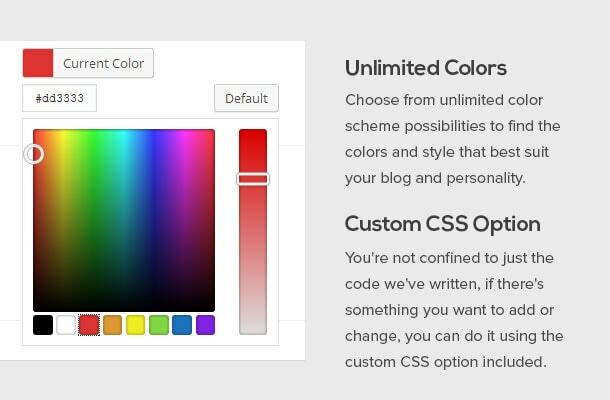 Fixed ‘Featured Section 1’ option hiding bug.